Are you ready for a BBQ trip from Albufeira? This BBQ trip from Albufeira is a full-day experience. 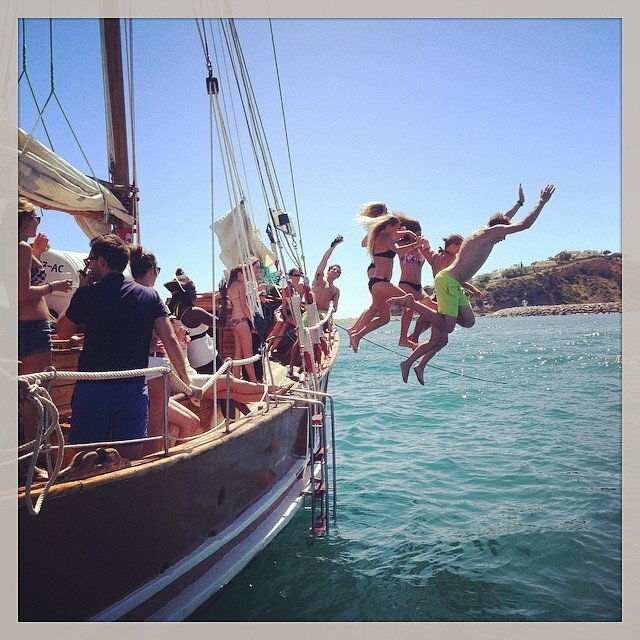 The BBQ boat tour, on the pirate boat Leãozinho (little Lion), will most likely be the highlight of your holidays in the Algarve. 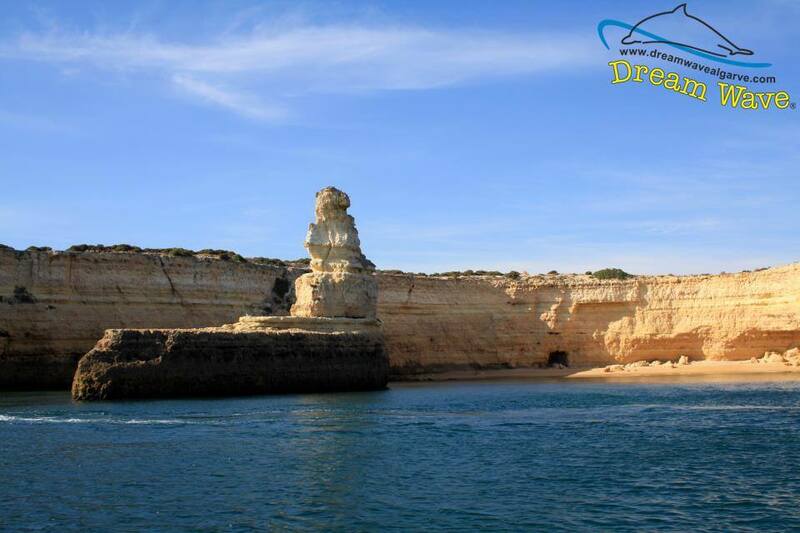 It’s one of the most popular boat tours in the Algarve as it’s a lot of fun for families and groups of friends. 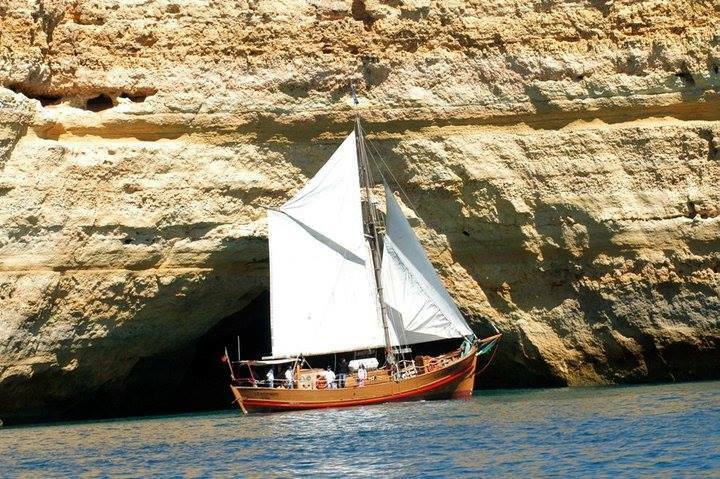 Sail with us to the most beautiful and hidden spots of the coast of the Algarve and observe the magnificent rock formations and the paradisiacal white sandy beaches. “Leaozinho”, our most beloved boat, complies with the latest safety and rescue equipment according to the EU regulations. At the beginning of the cruise, our crew will share important safety information. On board, you’ll find your comfortable seating place in the mid-deck or the shade of the deck. In the “Pirate Bar” we can serve you a variety of drinks. At 10 o’clock in the morning this BBQ trip from Albufeira starts in the new Marina of Albufeira. The pirate boat will head from Albufeira to the Atlantic, passing by Praia do Castelo and Praia da Galé. We’ll then pass the Fisherman’s village of Armação de Pêra, the Rockchapel Senhora da Rocha and reach the beaches of Marina and Benagil. 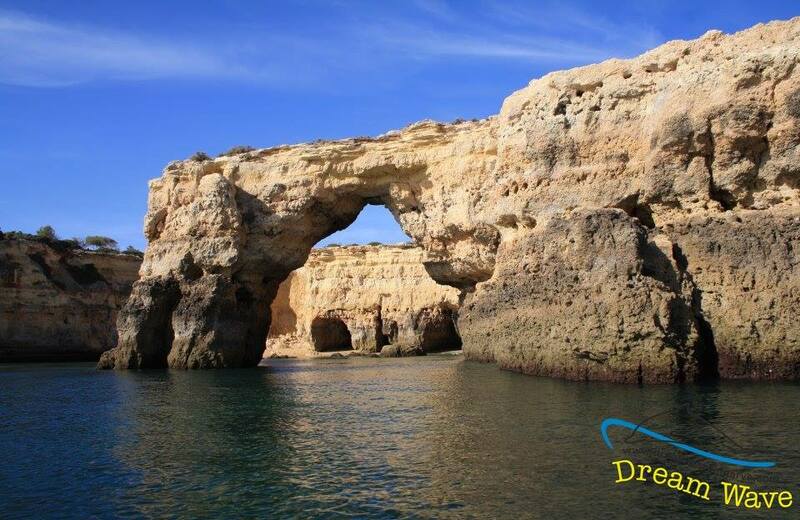 The beaches of Marina and Benagil are worldwide known for their impressive rock formations. These rockformations can be enjoyed perfectly from the perspective of the boat. Then, we’ll anchor next to an isolated beach. Here you’ll have some free time for a refreshing swim and enjoy the beach. Our friendly crew will serve you a typical Portuguese BBQ on the beach. When we’re finished, we’ll return to the Marina of Albufeira. Book you beach BBQ trip from Albufeira now!